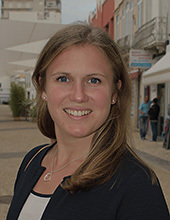 Lilian Forsgren is a PhD student within polymeric materials and composites since April 2016. Lilian is working with the processing and primarily the injection molding of cellulose fiber reinforced polymers. There might be more projects where Lilian Forsgren participates, but you have to be logged in as a Chalmers employee to see them.